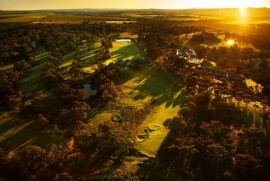 Come and play the Tanunda Pines par 72 championship golf course. Set amongst 100 year old gnarly gum trees with a host of native birdlife, Tanunda Pines is a beautiful and challenging course with tightly packed fairways and fast greens. Price includes cart and clubs.